Random House Publishing Group, 2005. Hardcover. Good. Disclaimer:A copy that has been read, but remains in clean condition. All pages are intact, and the cover is intact. The spine may show signs of wear. Pages can include limited notes and highlighting, and the copy can include previous owner inscriptions. The dust jacket is missing. At ThriftBooks, our motto is: Read More, Spend Less. Random House Publishing Group, 2005. Hardcover. Acceptable. Disclaimer:A readable copy. All pages are intact, and the cover is intact. Pages can include considerable notes-in pen or highlighter-but the notes cannot obscure the text. At ThriftBooks, our motto is: Read More, Spend Less.Dust jacket quality is not guaranteed. Random House Publishing Group, 2005. Hardcover. Acceptable. Disclaimer:A readable copy. All pages are intact, and the cover is intact. Pages can include considerable notes-in pen or highlighter-but the notes cannot obscure the text. The dust jacket is missing. At ThriftBooks, our motto is: Read More, Spend Less. Random House Publishing Group, 2005. Hardcover. Acceptable. Disclaimer:A readable copy. All pages are intact, and the cover is intact. Pages can include considerable notes-in pen or highlighter-but the notes cannot obscure the text. An ex-library book and may have standard library stamps and/or stickers. At ThriftBooks, our motto is: Read More, Spend Less.Dust jacket quality is not guaranteed. Delacorte Pr, 2005. Book Club. Hardcover. Good. Book club hardcover. Sound, clean & nice copy, light edgewear. Jacket is bright & clean, light to moderate rubbing/edgewear. Not price clipped. May not be available for international shipment due to weight/size. Book condition: Very Good+ in Very Good+ dust jacket; Slight rubbing on dust jacket. Delacorte Press, 2005-06-14. Hardcover. Very Good. Delacorte Press, 2005-06-14. Hardcover. Good. Delacorte Press. Hardcover. 0385336683 First Edition. First printing. Signed on the title page. NOT INSCRIBED or marked in any way. Securely wrapped and shipped in a box. This is a ADVANCED READERS copy not a hard cover. . Fine. New York, New York, U.S.A.: DELACORTE PRESS, 2005. Book. N-Fine. Hardcover. First Edition/First Printing. A square solid tight carefully read copy. This copy has just a hint of pagedge soil, some light board edgewear. The 25.00 jacket has some light rubbing wear, light edgewear. Reacher #9. This title is the basis for the movie Reacher starring Tom Cruise. Nice copy. THIS COPY IS IN MY POSSESSION AND NORMALLY SHIPS NEXT DAY..
Delacorte Press, 2005-06-14. First Edition. Hardcover. Very Good. 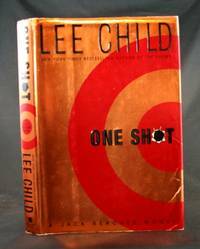 First edition, first printing, full number line starting with "1". Dust jacket intact and in very good condition with minor wear. Text block is clean, bright and tight, no markings, corner creases or other defects noted. Unconditional money back guarantee. 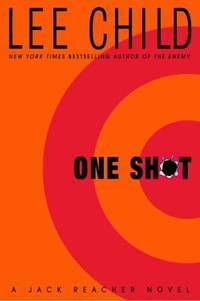 NY: Delacorte Press, 2005. Hardcover. F/F. 1st edition, 1st printing. Basis for the 2012 film Jack Reacher, which starred Tom Cruise. Finalist for the 2006 Macavity Award for Best Novel. Jacket has minor wear at extremities. We offer a LIFETIME GUARANTEE. See KHBOOKS for details. New York: Delacorte Press, 2005. Advance Reading Copy.. First Edition. Soft Cover. Very Good+. Advanced Reading Copy (ARC). Delacorte Press. Hardcover. 0385336683 American first edition, first printing. Contains number line 1 2 3 4 5 6 7 8 9 10. Virtually no wear to jacket. Jacket is NOT price clipped. Covers are clean and bright. Edges are sharp. No tears or creases. The book itself is in Near Fine condition. The binding is straight and tight. No remainder mark. All books are marked down 35% until February 1, 2019. Start stocking up now! . Fine. New York, New York, U.S.A.: Delacorte Press, 2005. Light scuffing to covers and small wrinkle on back cover bottom edge. First Edition. Trade Paperback. Near Fine/No Jacket. 8vo - over 7¾" - 9¾" Tall. Advanced Reading Copy (ARC). New York, New York: Delacorte Press Flat-Signed by the author on the title page. 2005 First Edition. The Book is very lightly edgeworn, otherwise unmarked, tightly bound and in Near Fine+ Condition. The Dustwrapper is lightly edgeworn, otherwise unclipped and protected in archival mylar- In Near Fine+ Condition. 376pp. 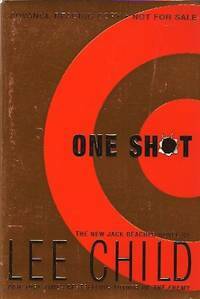 Series: Jack Reacher Novel, Book 9. Hardcover. Publisher: Delacorte Press. *Due to the Size and Weight of this Item Additional Shipping Rates Will Apply to All Non-Domestic Orders.*. Signed by Author. First Edition.